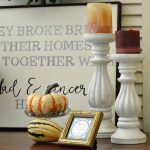 Five simple and inexpensive ideas to decorate your home for autumn. We’re getting ready to begin the month of September. School is starting, and recently here in Connecticut, I can’t help but notice that there is a slight chill in the air. I find myself reaching for a blanket and craving a warm cup of tea in the evenings. Colorful mums are making their annual appearance at every local market and I just spotted a few yellow leaves on our front lawn. Fall is just around the corner. 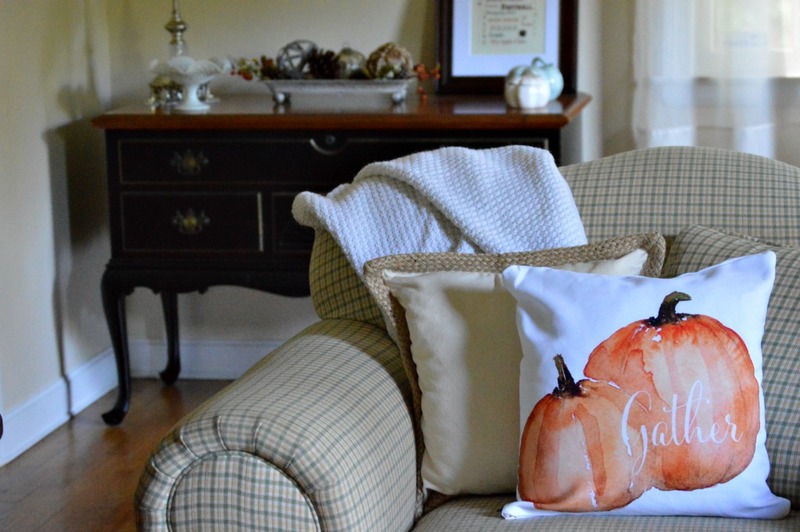 With fall’s impending arrival, I have been thinking about how I can add touches of autumn into my home. This seasonal decorating doesn’t require a large amount of time or money. No need to drag out Rubbermaid bins full of decorations, as I have done in the past. 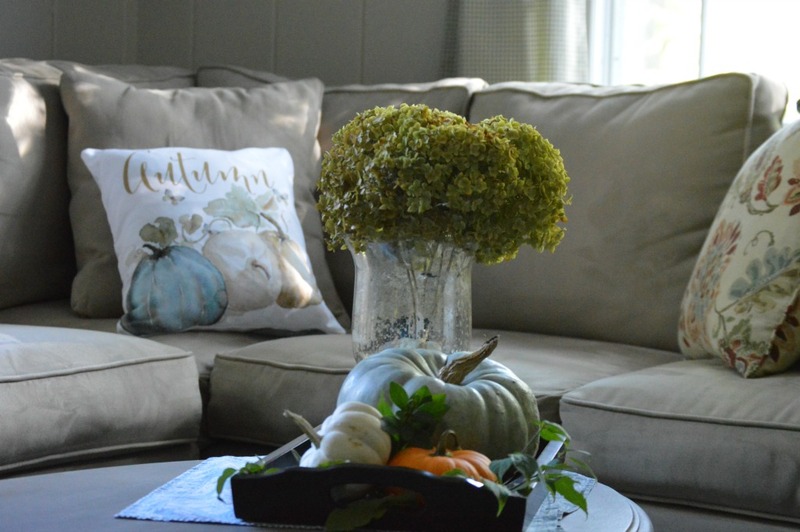 Instead, I will follow these five simple ideas to decorate for autumn. Add texture and warmth with thick blankets. Home is a place of comfort, and nothing says comfort quite like an inviting knitted blanket on a chilly night. Instead of keeping those blankets hidden away in closets, bring them out and drape them over a bench or a chair to create an inviting space. 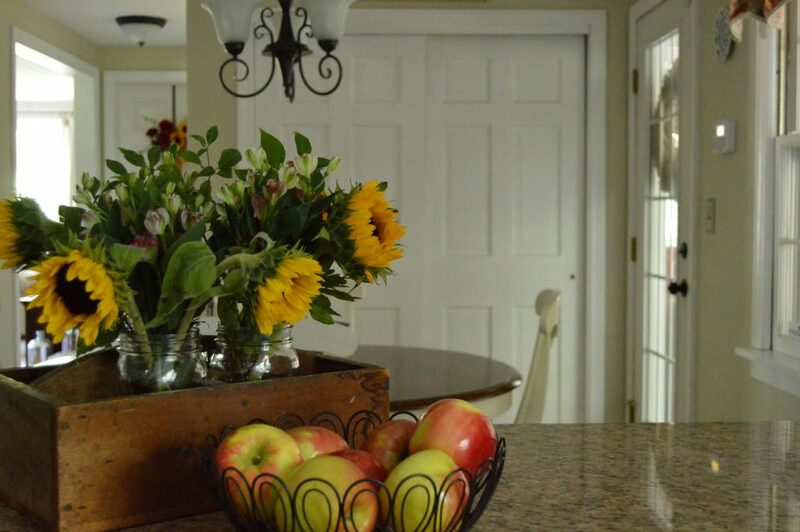 Use fresh flowers throughout your home. 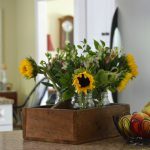 At this time of year, sunflowers, mums, and greenery are plentiful. You can pick them up in the grocery store or at your local farm stand to bring in seasonal color and texture, as well as a fragrant scent. I like to pick greenery right out of my yard. 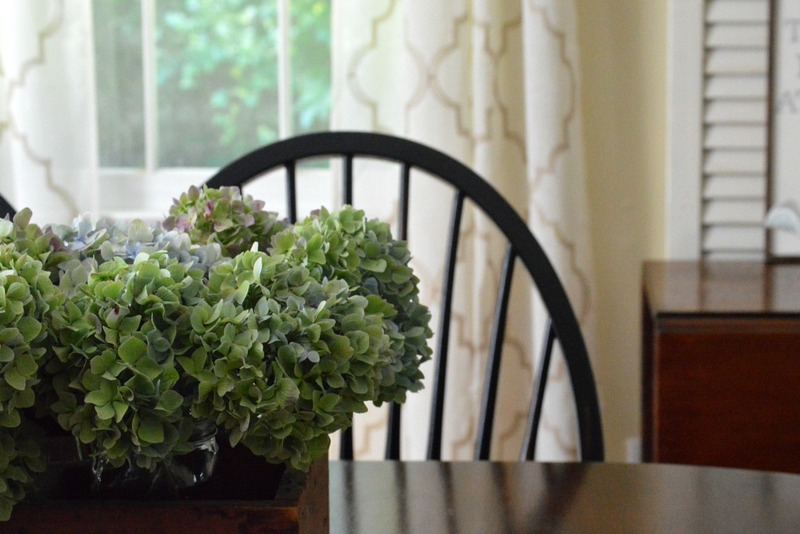 Dried summer flowers bring in soft hues that say, “Autumn”. Bring the outdoors in by using natural elements in your decor. 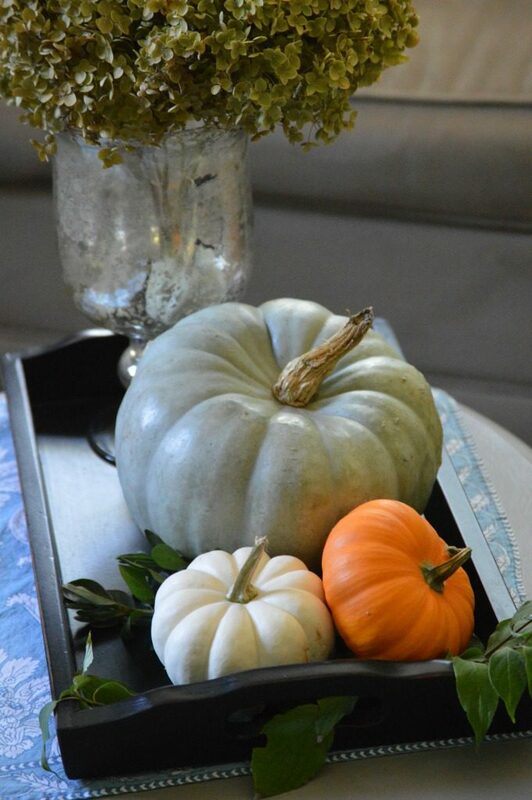 I love to use a variety of colored pumpkins, apples, seasonal corn, and gourds to bring additional hues and textures. These pumpkins bring in such fun pops of festive color! Add pillows of varied textures and seasonal colors to create a cozy and inviting space. You don’t need to spend a great deal of money. I found these inexpensive pillow forms at my local Walmart, and the pillow covers are from the talented Lucy at Craftberry Bush. Pillow covers are great because they can be easily washed and changed out. 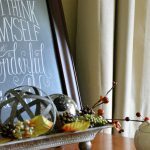 Create vignettes using fall scents, autumn picks, pinecones, and festive accent pieces. 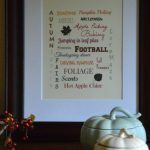 Click here for this free fall printable. 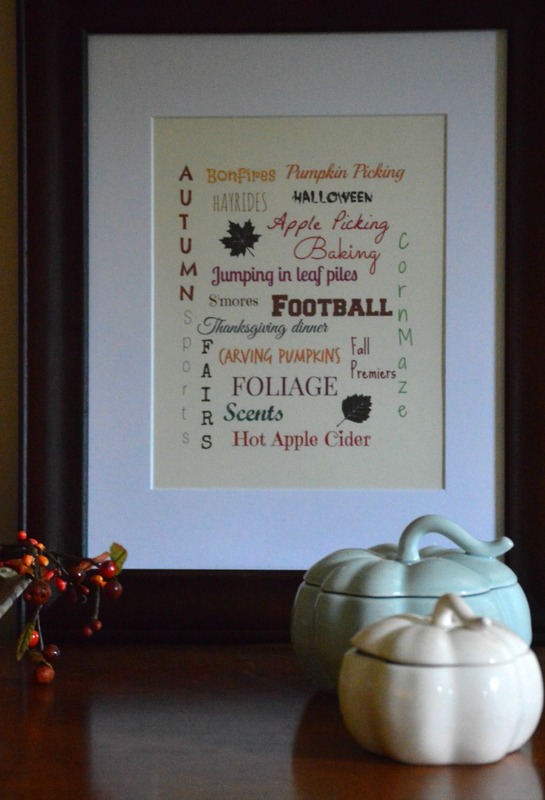 Have you decorated your home for autumn yet? 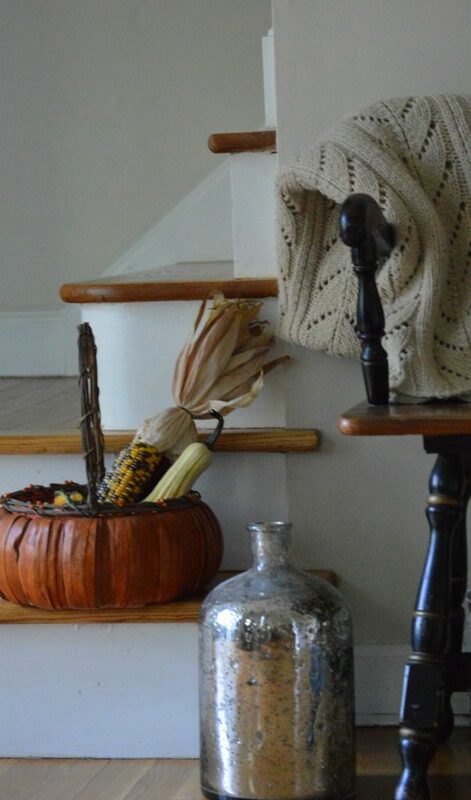 What are some of your ideas for adding touches of fall to your home’s decor? I would love to hear your thoughts! I love Fall! I live in California and we’re still in Summer, but I’m looking forward to cooler weather in a month or so. As always, Lynne, your home is warm, welcoming and just lovely. These are great ideas – I am starting on my Fall decorating, and will come back for inspiration. These are great ideas – simple yet timeless! Thank you for the ideas! You are always so kind, Kristine! Thank you so much! I can’t wait to check out your fall decor. Your blog is always so beautiful and inspiring! Wishing you a wonderful week ahead! I love summer, but now I want to decorate for fall! Beautiful! 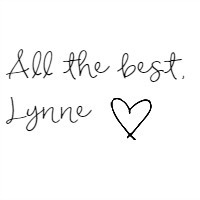 Thank you so much, Lynne! I love summer too, but am getting exciting for all of the sights and scents of fall! Hope you’re enjoying a wonderful long weekend! Terrific tips and beautiful pics! I am going to drag up my bins of fall decor today but I’m hoping to scale back and do some some simple vignettes like you’ve put together. Happy Fall! Happy Fall! I appreciate your kind words, Lori! This long weekend is the perfect time for fall decorating. Wishing you a wonderful week ahead!